What is GDPR and what am I doing about it? The General Data Protection Regulation is a European Union set of laws which propose to protect online users from unwanted data collection and require companies to notify customers within 72 hours when its data has been breached. Hope&Humor site uses the WordPress platform which uses “cookies” to make the site more user-friendly. I also use Google Analytics to monitor traffic at the site. I do not personally use or sell data information. 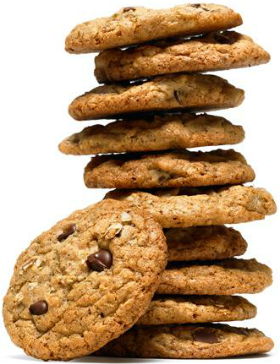 Here’s how to prevent your browser from collecting cookies.) The only cookies I personally utilize are the chocolate chip variety! I use MailChimp to manage my email list, which is compliant with the GDPR. I never share, rent or sell those email addresses. And you can always unsubscribe to monthly mailing by clicking here.